Anderson's Nushagak Camp is sold-out for 2019. Book now for 2020. Book early. 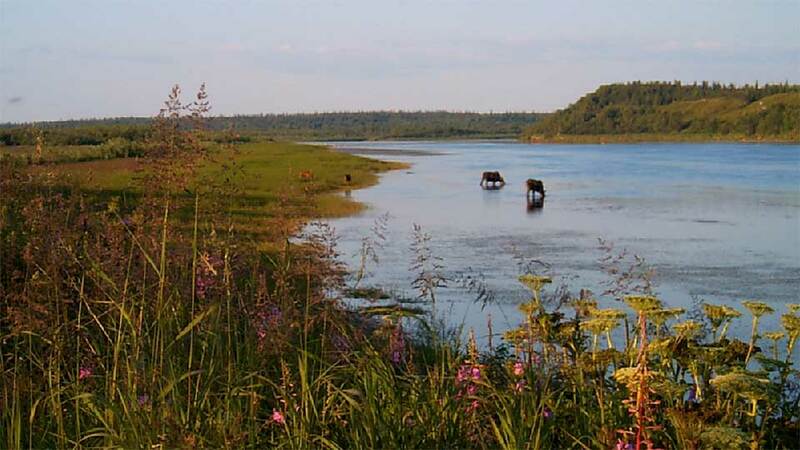 The Nushagak River is located in southwest Alaska in the Bristol Bay region near the town of Dillingham. Because the river is only accessible by boat or floatplane, it receives limited angling pressure. 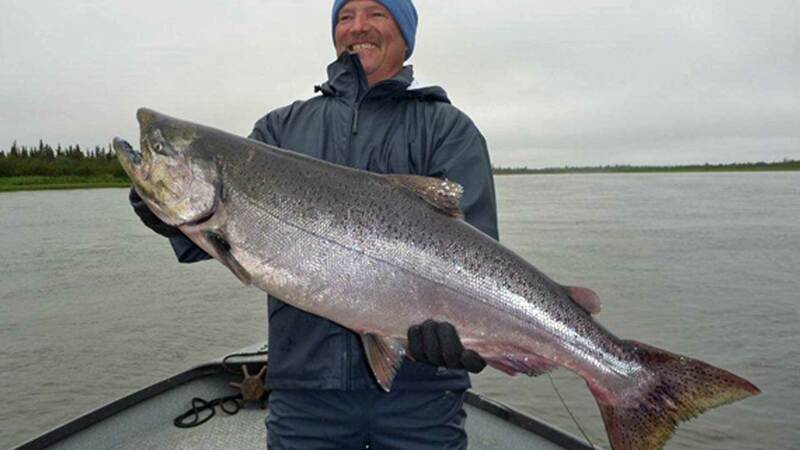 The Nushagak is considered to be the best freshwater king salmon fishing in Alaska. 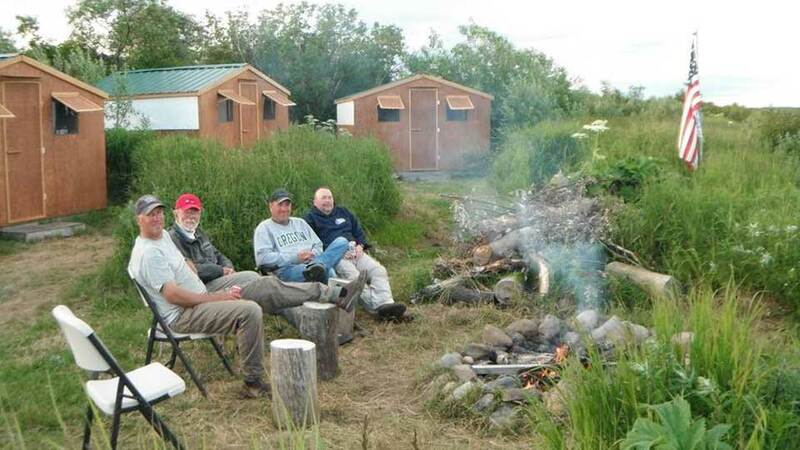 Since 2003, Anderson’s Outdoors Alaska Salmon Camp has operated on the lower Nushagak River about one mile below the village of Portage Creek. The camp sits right in the middle of the most productive stretch of water on the river, just below the east and west forks, which divides the river's run of salmon. The entire run of salmon must swim past their camp. Most years, the king salmon runs exceed 100,000, with an additional million sockeye, and 500,000 chum salmon also returning through the lower river. You are literally in the heart of the world’s best salmon fishing. Most of the kings are fresh from the ocean and are aggressive biters and fighters. 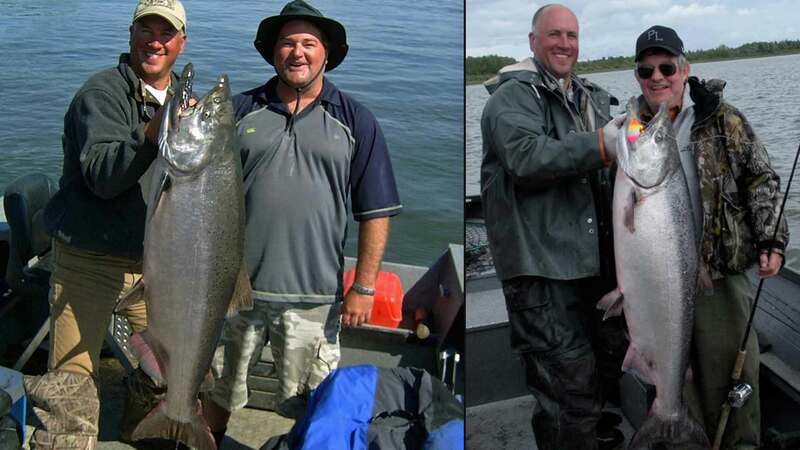 A typical day per boat is double-digit catches of kings as well as many chum salmon. Chum salmon are present the entire season, and sockeye are available four out of their five weeks of operation, making this trip a salmon angler's dream. Techniques include side drifting also known as dragging bait, trolling with light leader and back trolling/bouncing. 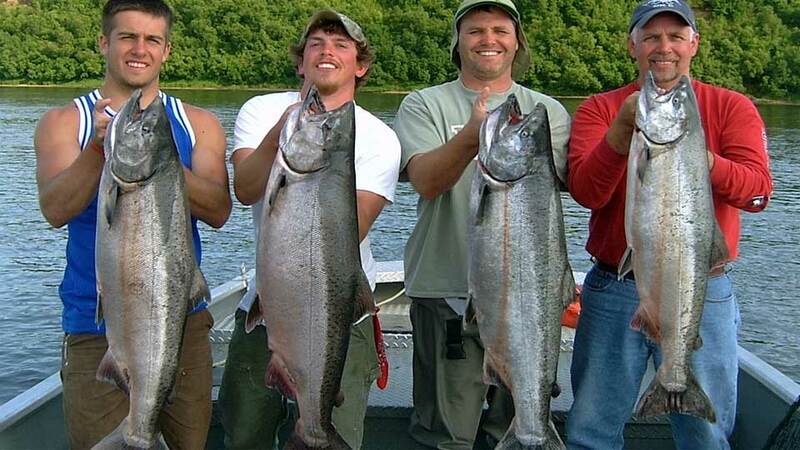 Regulations (2018): The daily limit is one adult king per day and four kings per season, plus chums and sockeye. 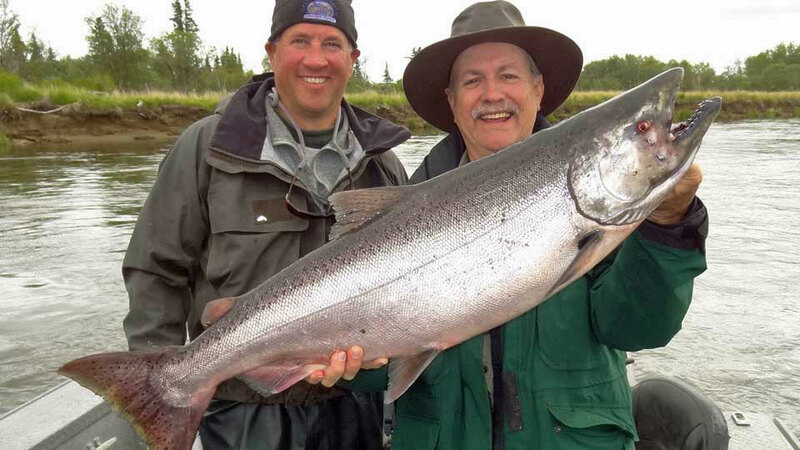 Unlike many rivers in Alaska, the regulations allow fishing after retaining a king, which means unlimited fishing time. The 2019 Season is sold out. Book early as the 2020 is already half-sold. For the 2020 season, the Camp will be open five weeks - June 16 thru July 10, 2020. 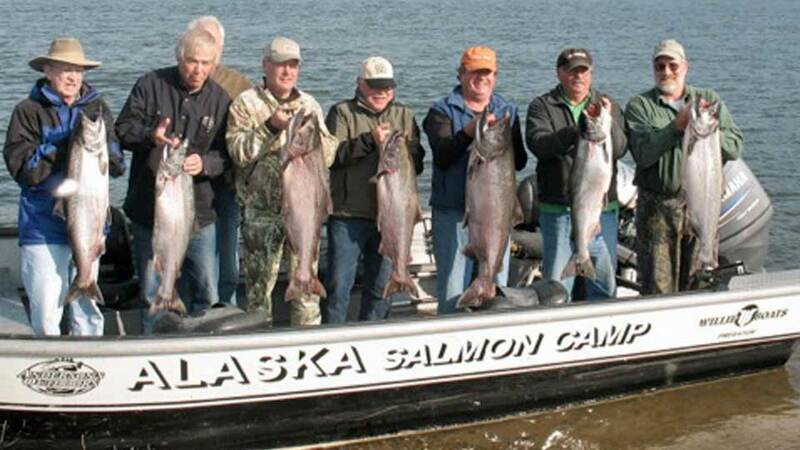 Group size: The Camp is limited to eight anglers. Boats: 20' Willie Predator power boat with newer 115 HP Yamaha four-stroke outboard motors, trolling motors, electronics, and padded seats with backrests. Seats are mounted on moveable bases to maximize the amount of deck space. The boats have a 6-foot wide floor and are nearly 8-feet across the beam, making them very stable for fighting king salmon. Four anglers per boat and guide. Guides: There are two guides, plus their camp chef. All staff is CPR and First Aid certified. Kent is a licensed U.S. Coast Guard captain. Fishing Equipment: Conventional bait-casting gear is provided, including Lamiglas Certified Pro series rods and Rogue Rods and Ambassadeur and Okuma reels rigged with 25-pound main line. If you would like to fly fish, you’ll need to bring your own gear. Fishing Licenses and King salmon stamp are not included in the package. Fish Care is provided. Your catch is filleted, vacuum-packed, frozen, and boxed for transport. 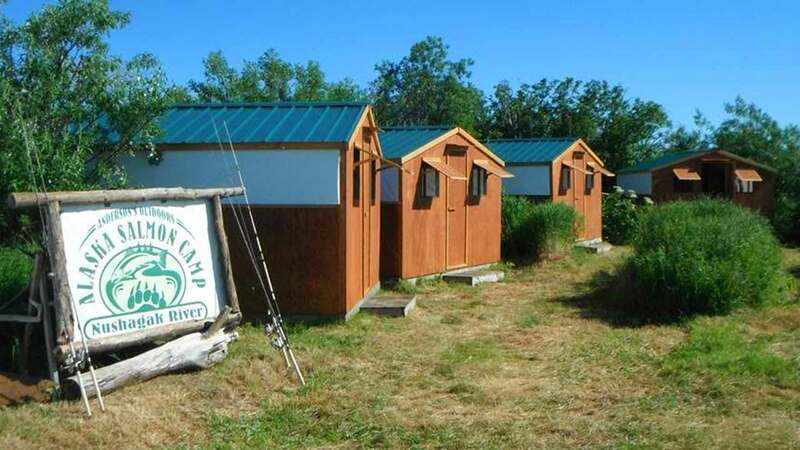 Because the Camp hosts only eight anglers, you'll receive better service and enjoy more flexibility than the larger fishing camps in the area. Upgraded in 2016, the Camp has 12’x12’ hard-sided cabin-like structures which sleep two anglers each. 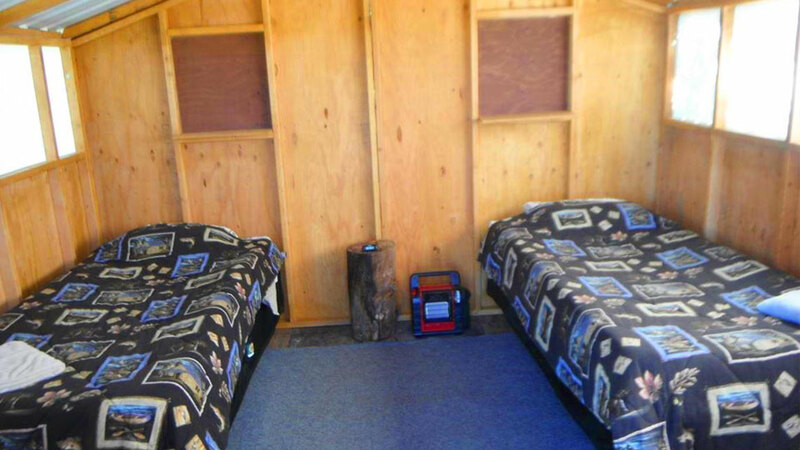 Cabins are equipped with two twin beds and all bedding, (no need to bring a sleeping bag), carpeted wood floors, and propane heat. The camp has an upgraded hot shower facility, and well water is filtered and tested for potability. The camp has generated electricity. No internet is available. The dining tent has a full kitchen for the chef, and meals are excellent. The camp chef prepares three delicious hot, hearty meals each day. Lunches back at camp feature hamburgers, soups, fresh salmon... Dinners feature steaks, pork roast, halibut, and of course salmon. 7:00 a.m. Breakfast is served. Lunch: You’ll return to camp for a hearty lunch. After lunch, you’re back fishing. Then, you'll return to camp in the evening. 6:00 p.m. Appetizers are served. 7:00 p.m. dinner is served. After dinner, evening fishing is available, and very good from the shore at camp. Most guests depart Anchorage to Dillingham on either the 11:30 a.m. or 3:00 p.m. flights. You’ll be met at the Dillingham Airport by a camp representative and transported by floatplane, a 25-minute flight to camp. (The floatplane flight is included in the package.) You’ll land at camp and won’t even get your feet wet. The floatplane is either a de Havilland Beaver or Cessna 185, both on floats. Try to keep your luggage under 50-pounds for the trip in, as you’ll most likely depart with a 50-pound box of fish fillets on the way out. Book now for 2020 as the Camp is sold-out for 2019. 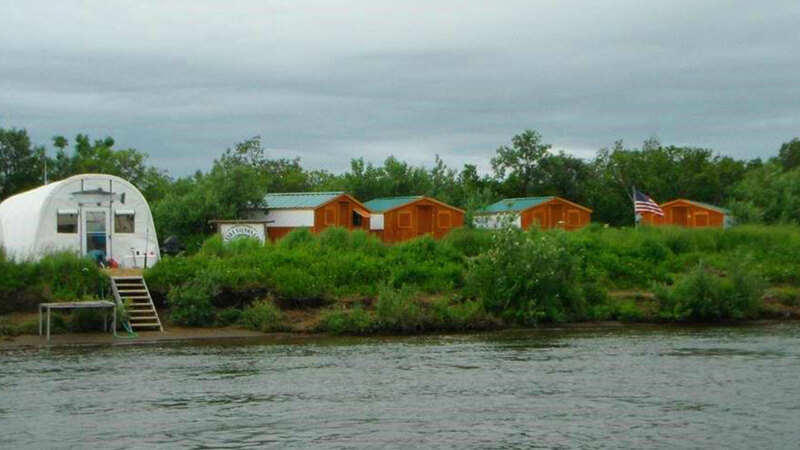 4-anglers per boat and 2 per cabin. 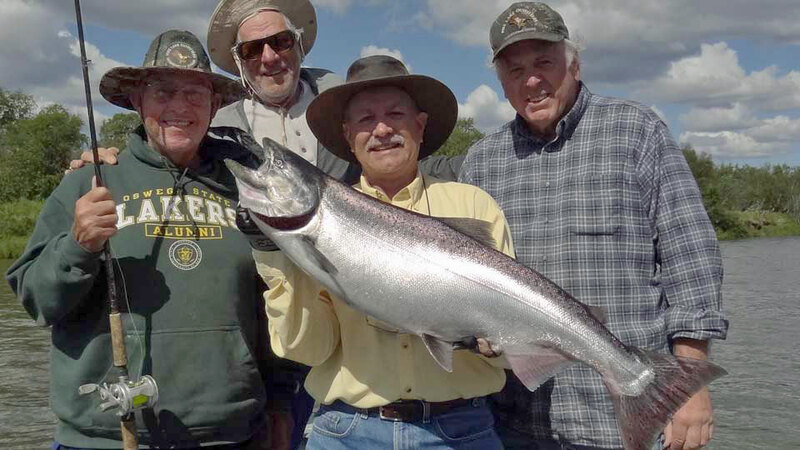 A minimum group size of four anglers is required for the 5-day packages. Roundtrip floatplane flight Dillingham to camp, guided fishing, all meals at camp, camp accommodations, use of all fishing equipment and tackle (except for fly fishing), and fish care—includes commercial grade vacuum packing, freezing on-site, and boxing for airline transport. 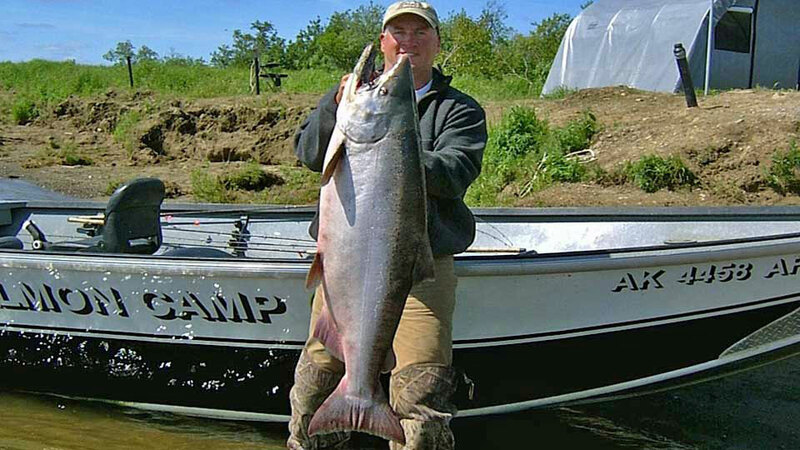 Roundtrip airfare to Dillingham, Alaska, overnight hotel if necessary, Alaska sport fishing license and King Salmon Stamp, alcoholic beverages, gratuities to guides and staff, and anything not mentioned under inclusions. Your catch is filleted, vacuum-packed, frozen and boxed for transport. Boxes are provided at no additional cost. Many guests transport their clothes in a cooler, along with a duffle bag, then use the cooler for fish transport and the duffle for their clothes.